Hi all. Was using a magnet to pick up the left hand side dash pad clip and saw this sticker curled up down the bottom. Any idea what part it is off? Looks like original item by the date. Can see it was made/checked by LD on the afternoon shift. Car is lh and was originally a 2850cc. Only a curiosity, i am not suggesting it is worth anything. That sticker is stuck on the top of the heater Demister box in side under the dash. I did go searching for that part number but couldn't find anything like it, "LD"s handwriting leaves a lot to be desired! 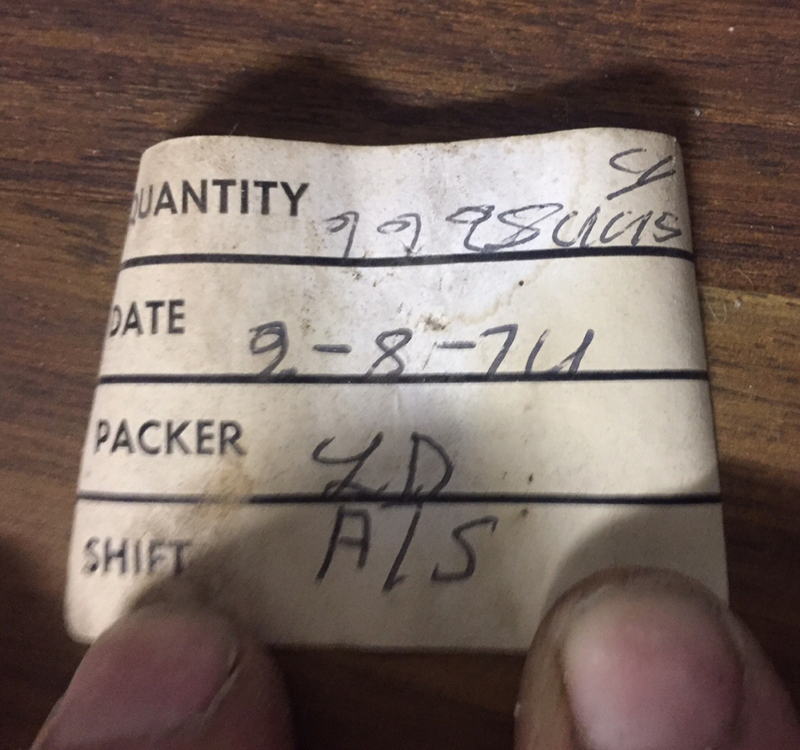 Based on the date being 1974 I looked for part numbers 2228445 and 9998445 but no luck on either variation. It looks like a pick label you used to get on parts bags, and whatever that part number is, there appears to be 4 of them? Thanks guys. Nicely spotted on the ebay add.